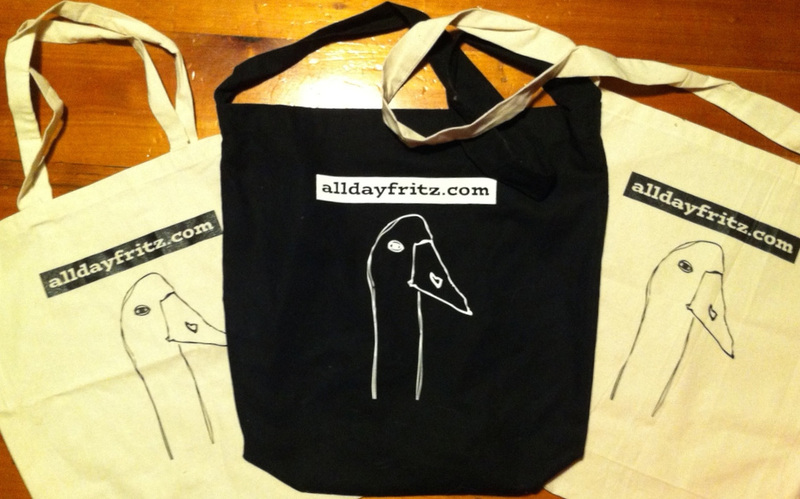 All Day Fritz bags have arrived and they look great! 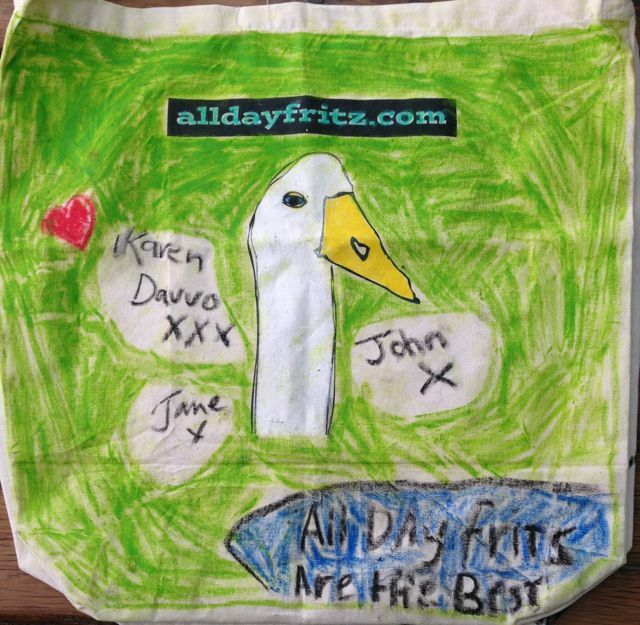 Our new bags are not only useful and fun, they can also be decorated as a celebration of your favourite all-ages dance band. Pick one up at our next show! 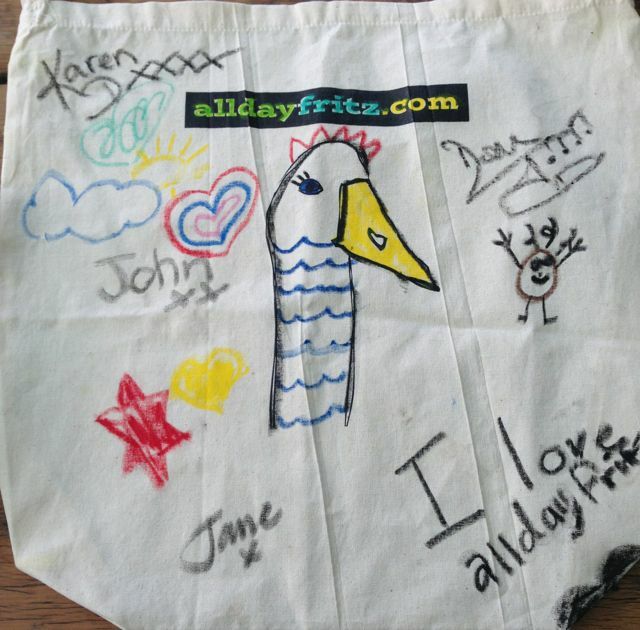 We're so sure you'll love the bags, and decorating them, that we've started this page which will be a montage of all the bags we can find. 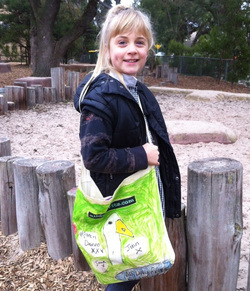 Simply decorate your bag, take a snap of it and send it to us with your name. 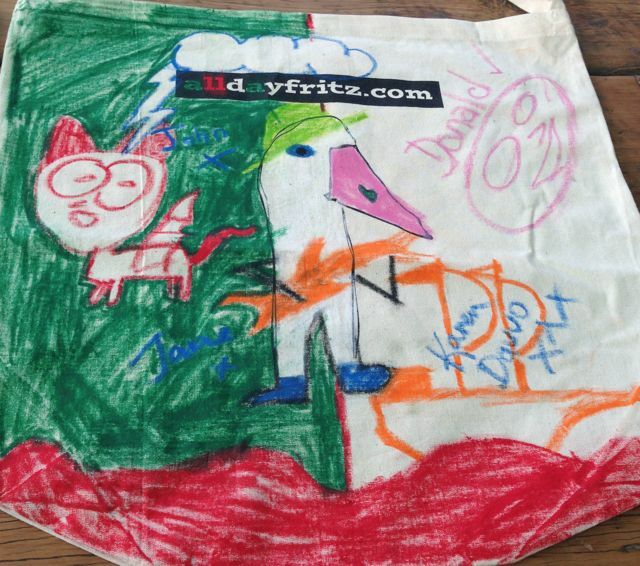 Watch the fun designs grow! 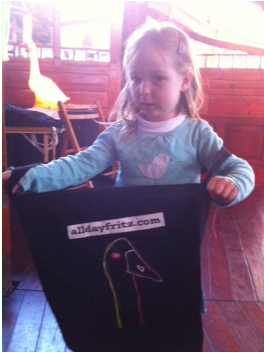 A little fan at the Spiegeltent!